We at Om Shri Ganesh Steels are a leading organization involved in manufacturing, trading, wholesaling, retailing, exporting and importing a range of products. The company entered in the domain with aim of providing the low-cost material available in India. Our range of products, attached with finest services, is integrated to meet the specific requirements of clients. Enriched with many years of valuable experience in this domain, we are involved in manufacturing and supplying a comprehensive array of Industrial Metal Sheets. 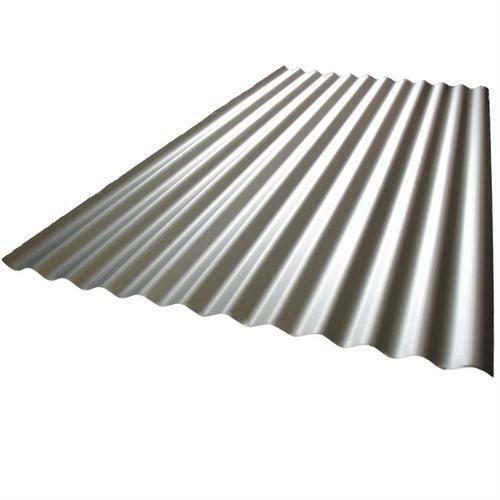 Moreover, our range comprises Color Coated Roofing Sheets, Color Coated Coil, Metal Purlins, Deck sheets, Industrial Sheets, Solar Module Mounting Structure, Solar Panel Structure, PPGI & PPGL Roofing Sheets, GI Slitting Coil, Roof Ventilators, Fixing Accessories, Roofing Shed, Shutter Strips, Pre Engineered Structure, Coil Slitting Services, Ridge Tile Accessories. These products are manufactured under the stern supervision of our quality examiners using premium quality raw material, which we source from the reliable and authentic vendors of the market. Our products are highly acknowledged for its unmatched quality and features. To manufacture our range as per the prescribed industrial norms and standards, we have hired a team of dexterous and qualified professionals who make use of the available resources in efficient and effective manner. Moreover, we have also developed a sophisticated infrastructure, where we have installed all the requisite facilities to manufacture our range. Apart from this, we also assure that the products designed, manufactured and packed by us are as per the industrial norms and standards. Therefore, our entire range is as per the details specified by our reputed clientele.